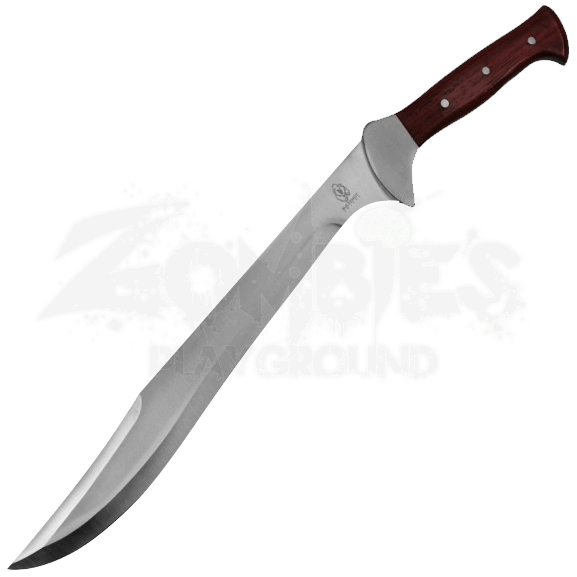 The Wilderness Survival Machete is suited for a wide variety of everyday survival and utility tasks. Whether for camping, hunting, or fishing, its clip point blade lends its versatility and strength to the modern survivalist. The skinner tip assists in preparing wild game while the broad edge chops through vegetation and other materials. 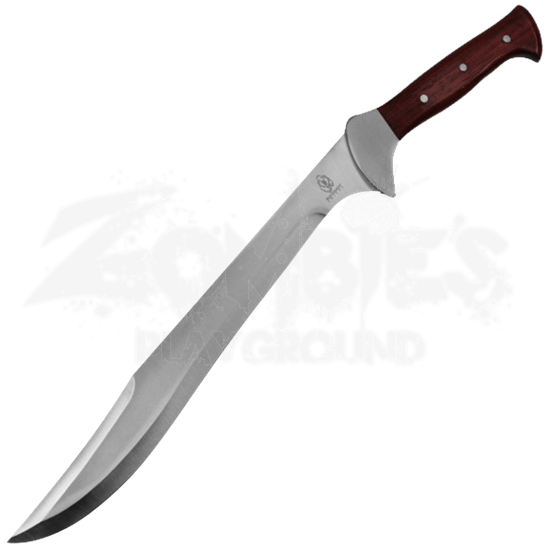 This Bowie machete is crafted from stainless steel. Metal rivets secure a wooden grip to the full tang of the blade. An appealing dark red finish covers the handle. Store it with the rest of your survival gear in the included black nylon sheath.